FEARNE FAIRY AND THE CHOCOLATE CATERPILLAR - Book 9 in the Whimsy Wood Series - PRE-ORDER NOW! 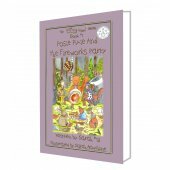 > FEARNE FAIRY AND THE CHOCOLATE CATERPILLAR - Book 9 in the Whimsy Wood Series - PRE-ORDER NOW! It's April in Whimsy Wood and Fearne's about to make a new friend! Fearne has not yet quite mastered the art of landing gracefully. Find out what happens when she flies to the Woodland Store. 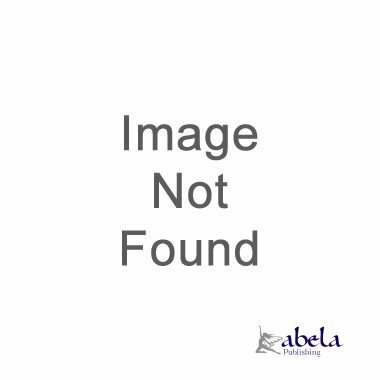 A 60 page 8" x 5" (127mm x 203mm) perfect bound paperback. It's April in Whimsy Wood and Fearne's about to make a new friend! Find out how our new charming character gets in a sticky situation and how Fearne rescues him, in this 9th chocolatey instalment from the award-winning Whimsy Wood series. "I loved it.  It was a really charming book." Bo Griffiths, 8 years. "I loved Mustard! His little legs kicking about covered in chocolate was very funny!" Sadie Gregory, 6 years. 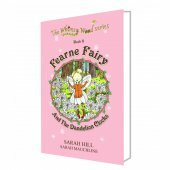 "Sarah Hill brings Fearne Fairy and the Whimsy Wood folk to life, in a way that children will relate to. 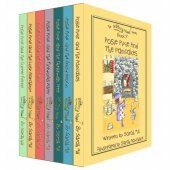 The alliteration and onomatopoeia, combined with an uplifting and heart-warming story, make this a joy to read." 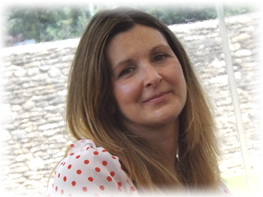 Gemma Hodgson, English Co-ordinator at Wyberton Primary School, Wyberton, Lincolnshire. "I like the animals in this book as they make me laugh, especially when they say, 'C-c-crunching c-c-cucumbers!' " Annie Watts, 6 years. "I loved this book! 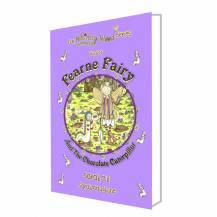 It's great that Fearne is different to other fairies and her awful singing made me laugh!" Martha Barber, 7 years. "The Whimsy Wood folk are timeless characters in the fashion of Potter, Milne and White. 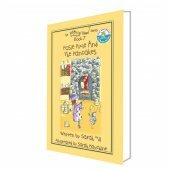 In time, The Whimsy Wood Series is likely to find its place in the lexicon of classic children's literature." Readers' Favourite, U.S. The usual April showers had arrived in Whimsy Wood and Fearne Fairy, with her brilliant white bindweed umbrella, rainbow raincoat and frog-patterned fairy wellies, was on her way to The Woodland Store. FLITTER-FLUTTER, FLUTTER-FLITTER went Fearne Fairys tiny wings under her umbrella, as she flew over the clumps of beautiful bluebells and vibrant violets that shimmered in the spring rain. Now, before we continue, I must explain that Fearne is quite different to other fairies that you may have met. Whilst she can fly as beautifully as a butterfly, she has not yet mastered the art of landing gracefully. When she tries to land, its rather like a baby bird falling out of its nest and bouncing from one branch to the next, before it reaches the ground in a crumpled heap!